How I Met Clint Eastwood | Watch the stars. They're off the charts! Los Angeles is the place to be when you want to accidentally bump into Hollywood actors and actresses; this is perhaps the reason why so many tourists flock to the city every day in the hopes of getting a sighting. Like us regular folks, Hollywood stars do need to shop and eat out, too, so seeing a few on a week-long trip is expected. Most of the sightings are of the younger actors shopping with their kids, grabbing a latte before heading to the gym, meeting up with friends at a restaurant, or doing some other random activity that brings them into a state of normalcy. However, that one time I was out with the family to visit an aunt in Silver Lake, I didn’t expect to bump into a legendary film icon — and in the most awkward of ways. That was the time I met Clint Eastwood. Now before I go on to tell the tale of how I met one of the greatest actors ever, let me give some context on who Clint Eastwood is (for the sake of the millennials) and why I am over the moon with our encounter. American actor Clint Eastwood is best known for his role as anti-hero police officer Harry Callahan in all five “Dirty Harry” films that came out the in the 1970s to 1980s. 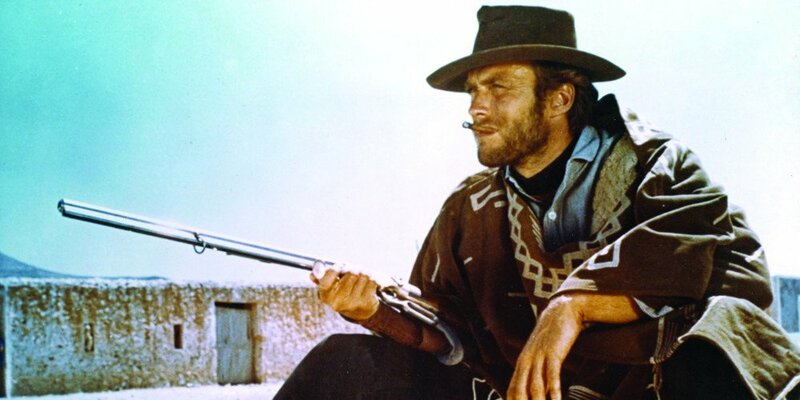 Combined with a host of other Western-themed movies, the actor has since earned the ever-enduring role as an icon of masculinity. Wherever there’s a storyline for a mysterious yet appealing tough guy that slays with just his powerful stance, you can expect him to nail it every single time. The actor is already 88 years old as of this writing, so you might even have seen your mom or your grandma fawn over him every time he appears on screen through the years. Yes, his appeal has transcended and survived several generations — so when you do finally get to see him in person, your tongue falls to the back of your mouth and, you become mute. The actor recently came out after a six-year hiatus from filming with “The Mule,” which was released in July this year. This is his first on-screen role since “Trouble with the Curve,” which came out in 2012, where he portrayed an aging baseball talent scout looking for another shot in the industry. “The Mule” is loosely based on a true story about one of the oldest drug mules known in US history, Leo Sharp, who was caught at 87 years old in 2011 for smuggling a large amount of cocaine into the country. So what happened to me and Clint Eastwood? First of all, I did see him in June, from afar, in Philadelphia while they were filming “The Mule,” which stars Bradley Cooper. A crowd was gathered near First Community Bank, and people were being ushered to a specific spot to avoid accidentally getting filmed. Now I was in my usual non-caring self and walking towards the bank area — I did not know someone was shooting a movie. I was on Bluetooth and engaged in a hissing match with my sister over something that happened over dinner the night before (let’s not go into those details anymore). I simply thought there was a new store being launched and never really noticed the large cameras in the area. I stopped somewhere I found some chairs and leaned against one to stay steady. Needless to say, the muttering and stuttering continued until I heard some people say “SHHH” and when I looked up I swear I made serious eye contact with Clint Eastwood himself, who was seated and apparently trying to direct a scene. I grumbled some “sorrys,” walked away, and accidentally knocked over one of the mic stands. I was hoping it wasn’t a major issue because I found myself running as fast I could before anybody could recognize me. So, no, that was not the day I met Clint Eastwood. So we were finally in LA about two weeks after that to visit my mom’s sister and, by a twist of fate, saw Clint Eastwood himself coming toward my direction while I was getting out of Starbucks. He was dressed in regular clothes but me knowing who he is had me creating a halo of light all over him that my mother said I had literally stopped in my tracks and frozen. Flashbacks of what happened back in Philadelphia came rushing in, and I swear I just blanked out. He must have noticed my weird face and said “Hey there, you okay?” and all I could blurt out was “I tripped over your mic stand in Philly.” I don’t know if he did remember or if he was just being the polite man that he is because he said “I’m sure it was fine” and gave me a quick pat on the shoulder before continuing off, with my mom, my sister, and my aunt waving “Hi’s” and “Bye’s” in his path. And THAT is how I met legendary Hollywood icon and god of acting Clint Eastwood.